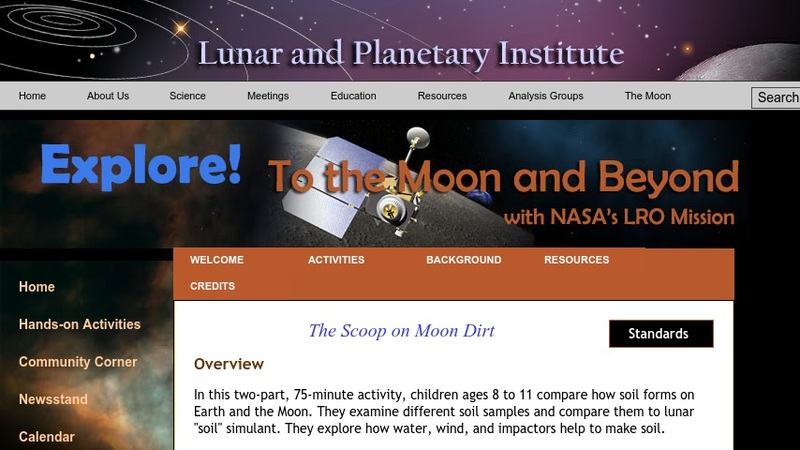 In this two-part activity, learners compare how soil forms on Earth and the Moon. They examine different soil samples and compare them to lunar "soil" simulant. They explore how water, wind, and impactors help to make soil. This activity is part of Explore! To the Moon and Beyond! - a resource developed specifically for use in libraries.